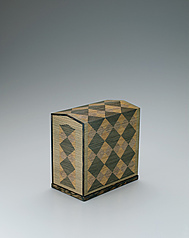 "MIURA was profoundly impressed by imperial pieces displayed by the Shosoin Treasure House, and started the production of woodwork artefacts. 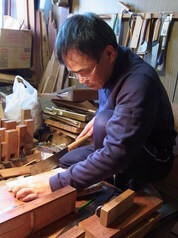 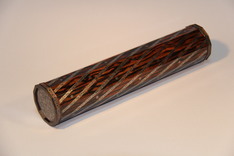 Since then, as a result of much research, he works not only with Japanese wood, but also valuable imported hardwoods, and produces pieces incorporating metals, ivory, or dyed horn as decorative materials. 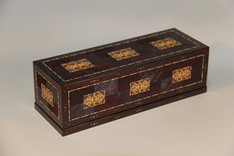 His signature style is contemporary pieces drawing upon traditional designs. 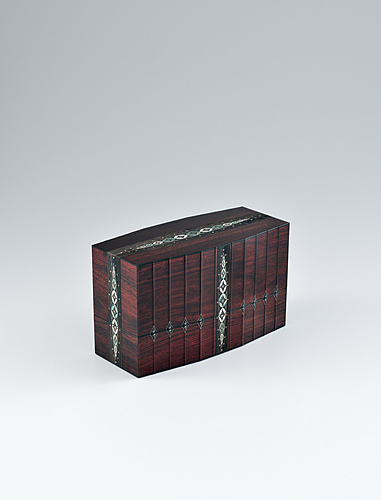 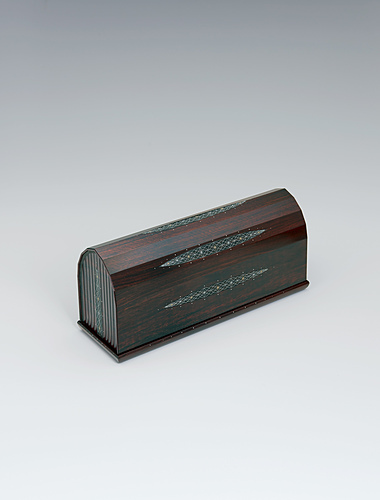 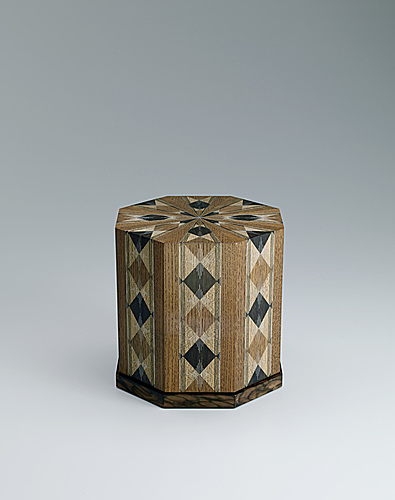 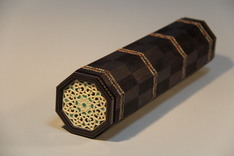 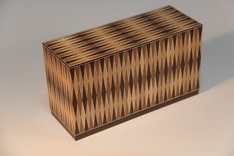 Box of jindai zelkova wood with marquetry decoration.